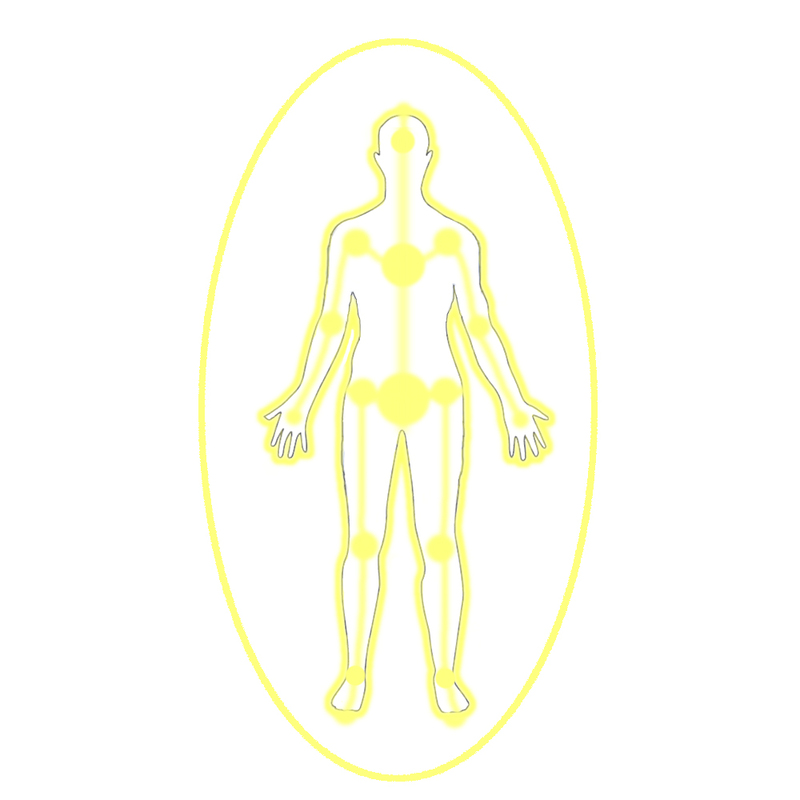 The Inner Energy Gates are the places where the Energetic Meridians connect in the body, and move from one area to another - for example for energy to pass from the arm into the torso, the meridians must pass through the Energy Gate located in the Shoulder Joint. Inner Energy Gates are usually located in the major joint spaces - or more specifically in the 'Empty Space' between the bones of a joint. 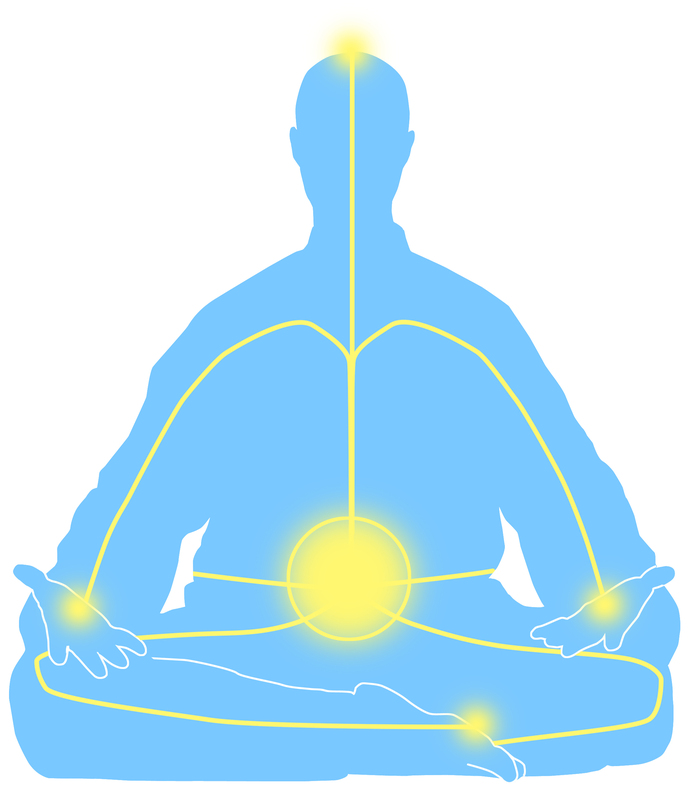 The Inner Energy Gates are also located in the sacral / lumbar area, upper back and the craniosacral area - these three areas are often termed the 'Three Passes' in traditional Taoist Yoga terms. The Inner Energy Gates often become blocked, due to lifestyle, lack of movement and exercise and also aging. These blockages can causes stagnant energy, stiffness, pain and will limit the movement of Energy through the Meridian system – and may lead to poor health, negative emotions, stiffness, lack of energy and often chronic pain. 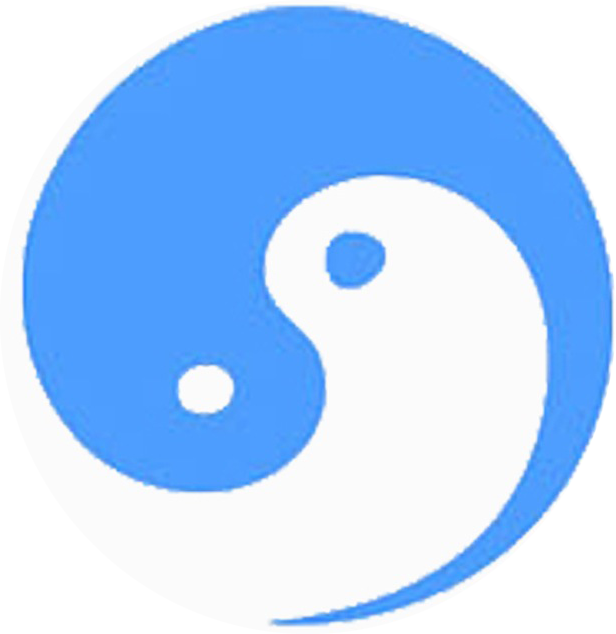 Taoist Yoga uses specialized movement, postures, breath work and gentle stretches to physically open these areas, from the inside out, so that the Energy may run smoothly through the whole Meridian System. Opening the Inner Energy Gates is a very special aspect of the TaoYoga Arts System and Training Method. The 5 Outer Energy Gates are located in the area of the palm, the ball of the foot, and the crown of the head. These areas are spherical centers, where the Qi Energy from nature is able to enter into the matrix of our energetic meridian system, and also the place where energy is discharged from our system into the environment of nature and also our external aura system. The 5 Gates are very important for our receiving of the ‘Heavenly ' or 'Universal Energy’ during Taoist Yoga practice. The Energy Gates are connected with the 8 Spiritual Vessels, which are very special Energy Channels in our system that are used as a Vessel to store Energy which is used in one way to help bring balance and homeostasis to the 12 Organ Meridian System. In Taoist Yoga Practice, these Vessels are used in training for the circulation of Inner Energy, which aids in Spiritual Development. The 8 Spiritual Vessels are located in the legs, arms, back of body, front of body, center of body, and also in a loop or belt around the waist line. As we practice Taoist Yoga, extra Energy from our practice will naturally overflow from the Dantian Center and circulate in these 8 Vessels - energy will also be stored there. Development of the 8 Spiritual Vessels is a very important aspect of Taoist Yoga training, and leads to greater health, healing and spiritual growth.